This is a series of posts this month wherein I will focus on Disney films. For more on my background with Disney films and about the timing of this focus please read the introductory post here. One of my more recent revisits in the Disney library were the two Rescuers films. There are a few interesting things to note about this series, especially when one considers the seemingly unusual fact (due to how overlooked the films seem to be) that this was the first Disney animated property to spawn a sequel, and a theatrically released one nonetheless. Now, the soft spot I have for these titles it does turn out is for more reasons than just the fact that in some territories these films are referred to as Bernardo and Bianca. The first thing that both these titles share in common is that they truly embrace the “It’s a Small World” ethos that Disney incorporated in its parks, but didn’t truly exemplify in its films until later on. The Rescuers Down Under is the first non-package film that takes place outside a fictitious kingdom that’s vaguely European or in Europe itself. 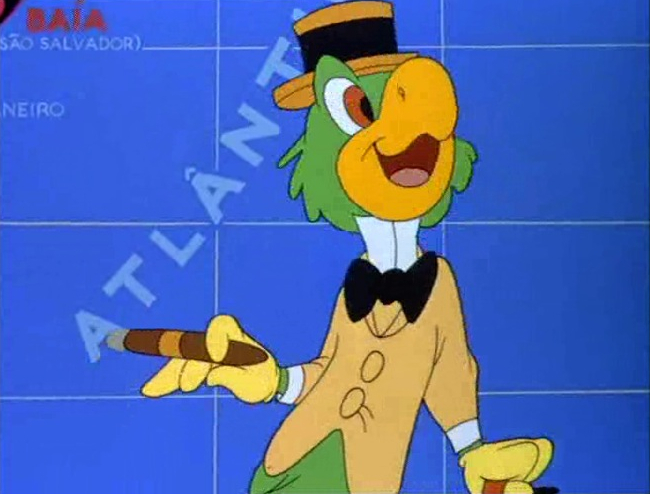 As much as I love Saludos Amigos and the Three Caballeros, there’s a very “Hey, let’s all go to South America” feel to it, rather than just naturally incorporating the location into the tale. Also, Bianca, voiced by Eva Gabor, in the first film serves in a mouse version of the United Nations and does represent Hungary. The first film’s adventure, saving a girl named Penny from jewel thieves, is US-based, but is a trip down to the bayou that’s wonderfully exploited by Disney’s artists who in the 70s were vastly underrated. Many people find the movies that came out of this decade a bit subpar, but to me there was a flair and artistry, a painterly finesse to the backgrounds and a still-present fluidity that leant itself wonderfully to the stories they were putting out. The sequel, as the title would indicate, takes the narrative to Australia. While the films succeed in complementing one another, they do have shortcomings individually. Taking the best from both would make one truly masterful work. In the sequel, there’s a more developed victim in need of rescuing whose story needs a cap. The villain is more motivated in the second film and less cartoonish. Whereas the first film’s title is very apropos it really is about The Rescuers above all other characters, here in the second film its more split. What The Rescuers and The Rescuers Down Under both did aesthetically was set the table for the decade to come. More so than any sequel footnote, each film seemed to encapsulate the aesthetic and sensibility of the decade prior and push towards the future. The Rescuers in certain scenes is the apex of the ’70s style, but pushing the boundary toward the more polished, less sketchbook ’80s feel and then The Rescuers Down Under with its aerial animation and action sequences was a precursor of the more dynamic swooping crane-simualtions and action shots in things like Beauty and the Beast, Aladdin and The Lion King. The Rescuers, it would seem, was a fitting title in more ways than one. It’s interesting to note that Cinderella was released in 1950. 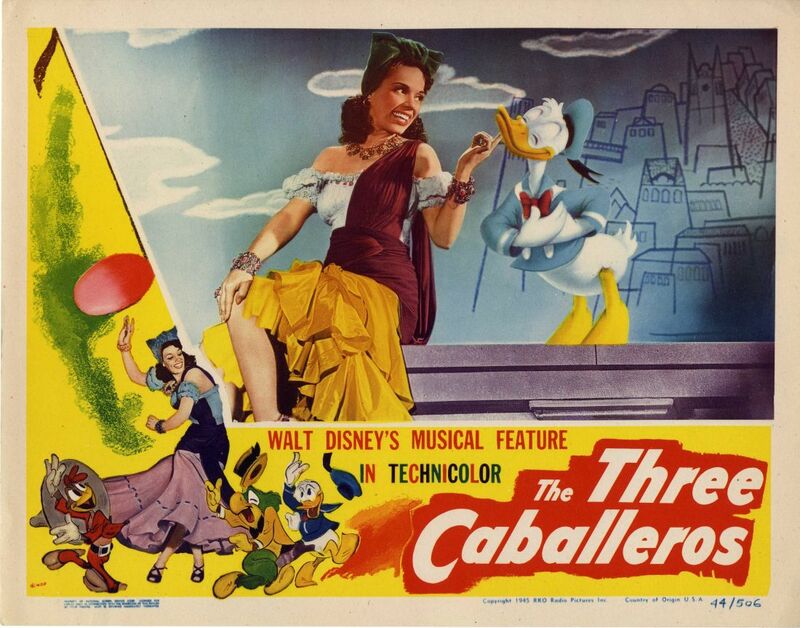 If you count the hybrid films (Song of the South and So Dear to My Heart) and the package films (Make Mine Music, Fun and Fancy Free, Saludos Amigos and Three Caballeros) it was the 12th animated feature that Disney had released. 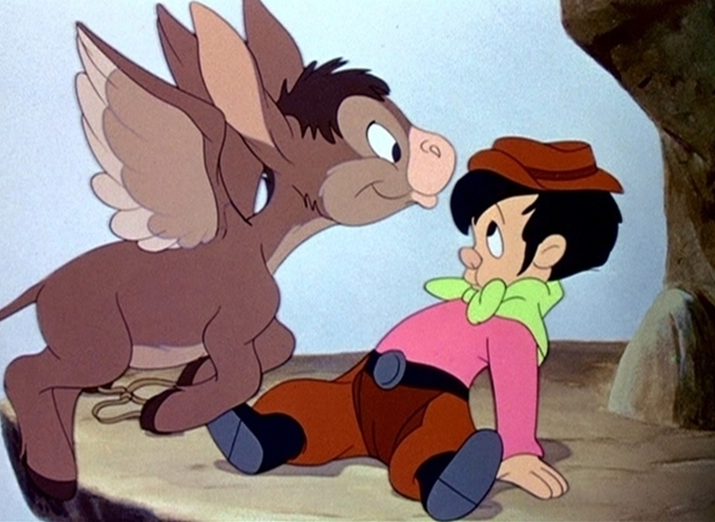 In a way it was like the circle closing after having started with a princess tale and embedded Silly Symphonies, Disney’s name for their early musically-inclined shorts. In both the case of Cinderella and Snow White the anthropomorphism of the animals manifests itself by their interaction and communication, non-verbal in the former and verbal in the latter, that the protagonist shares with them. What Snow White possesses is much of what would become staples of Disney fare such as the great heightened moments. The innovation of technique in Snow White to an extent masquerades the embedding of familiar, albeit more defenestrated, tropes of earlier shorts. If you compare the narrative movement of Snow White to the films that follow, the progenitor of the Disney films ends up feeling like a cozy, quaint dream that, aside from the inherent value of the story and its bolder moments, isn’t tremendously riveting on a purely narrative level. Cinderella is not entirely dissimilar with its asides to the mouse subplots, but is differentiated by having more parallel action. 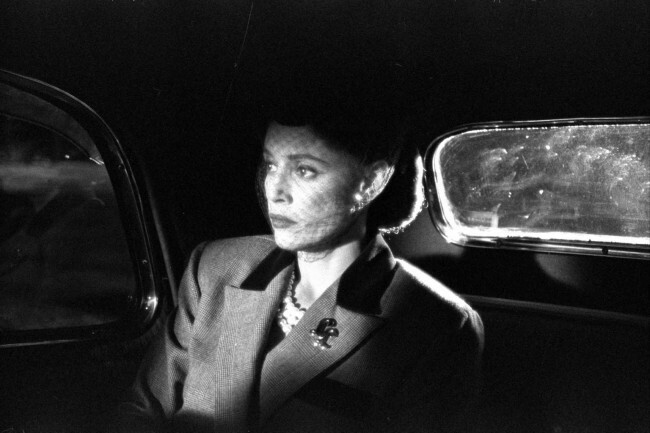 The ball is introduced early on and the Stepmother is a terrifying, yet very real, and down-to-earth villainess. The witch’s transformation and magic mirror are bold, tremendous images that stand out more than does anything in Cinderella. Cinderella’s coach, and, of course, the iconic castle are the standout visuals there. This isn’t really to knock either of the two films. Of course, I still enjoy them both. Between the films I think Cinderella may work better and definitely has a slightly more forward pre-feminist-movement Disney princess. The experiments that Disney went on after Snow White and before Cinderella, were highly interesting and for the most part wildly successful. In 1940 there was both Pinocchio and Fantasia. In narrative terms on opposite ends of the spectrum, but both really push the frontiers of what they could do with visuals. While the Silly Symphony aspect of these films stands out, the musicality of Dumbo is well-embeded. Not only that but in terms of narrative it can’t move fast enough, the tempo of the music pushes the pace of the edits and allows the story to flow perfectly. There are many beats, and much emotion wrenched out of just barely an hour in Dumbo, which makes it even more staggering. Bambi created a world devoid of humans, allowed real fears and traumas to sneak in still managed to tell a charming uplifting story with very little dialogue and not a lot of fat either. The last untouched upon films pre-1950 that are all-animated would be the aforementioned package films, which are a pastiche of shorts so it by definition they have a more storybook, anthology feel to them. The sensibility is overgrown, related shorts. For any viewer, regardless of your experience, academic acumen or whatever other qualifications you may have, there will invariably be occasions where a film plays into a sensitive area for you where it’ll either excel with flying colors or fail miserably, perhaps to a greater degree than it would otherwise, due to your personal experience. 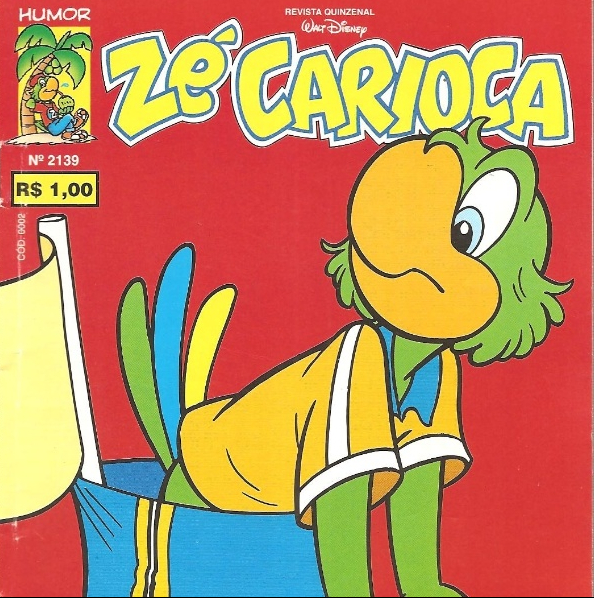 In the case of Rio it was targeted on my radar early on for two reasons: first, and the lesser of the two reasons, for my love of birds and conversely my loathing of smuggling but it hit home more because it’s set in Brazil, a nation of which I am a dual citizen. 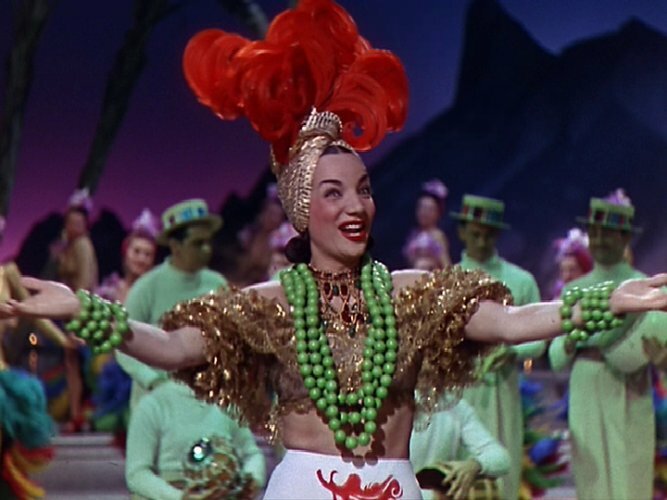 Having been one who grew up cinematically with only Carmen Miranda and the anti-Lambada propaganda film The Forbidden Dance as major reference of American interpretations of Brazil onscreen my apprehension is understandable. Not that there’s anything wrong with Carmen Miranda but any icon can be turned into a stereotype in the wrong hands. Suffice it to say that most of my concerns are addressed by the fact that one of the film’s writers and its director is a Brazilian, Carlos Saldanha. 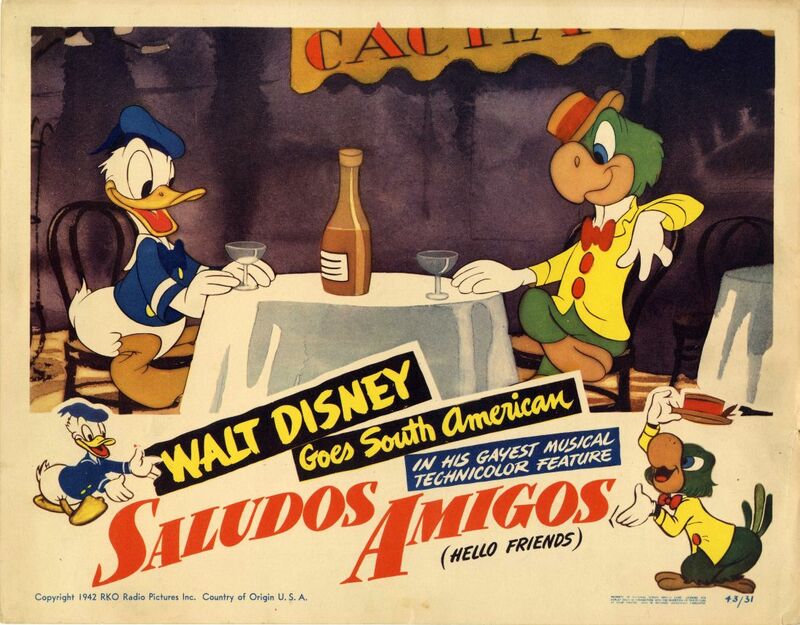 Yet, you also do not get a Disney-fied Saludos Amigos or Three Cabelleros rendition of Latin America, you have in the narrative of this film a setting which actually plays a role, which is rare but also one that is presented without frills and bereft of commentary. You see the glitz and glamor of Rio, the natural beauty, the beach life, the skyline at night, carnaval but also the favelas and in a minor way, crime. It’s a subtle but accurate portrait that doesn’t impose itself above the story. It shows the good and the bad. So with that personal concern overcome I can begin to address the rest of the film. When dealing with animation set overseas there are invariably headaches of logic. There’s always the minor bugaboo of when do you float a word in said foreign language that English speakers will readily recognize? How many Brazilians and/or actors of Hispanic descent do you include in the cast? Now, there’s only one Brazilian in the principal cast, however, considering that many Brazilian actors have recently been cast as either Hispanic or “Vaguely Foreign” characters (such as Rodrigo Santoro himself in Love Actually) it all comes out in the wash. In fact, quite a lot the voice talent does quite well either toeing that line or just being convincing that it makes you forget. Jesse Eiesenberg conveys the stressed, caged bird in the wild well and also has the unexpected task of struggling/learning to embrace his newfound culture. Anne Hathaway, perhaps more than any other name actor in the cast, vanishes behind the veneer of her character. Thankfully she is given license to sing and the few seconds of Portuguese she’s asked to speak sounds good. The rest of the voice cast does rather well as a whole also. One of the most distinctive and hardest voices to overcome is George Lopez’s but his shtick with his wife is funny enough such that you eventually forget. While Tracy Morgan always sounds like himself it works in tandem with his character so well that it doesn’t matter. Will i. am provides the most consistent comic relief and perhaps the most overlooked voice work belongs to Jake T. Austin, perhaps best known for his work on Disney Channel’s Wizards of Waverly Place, he convincingly comes across as not only a Brazilian kid but also one who’s younger than he is. The story of this film resolves itself quite neatly. It gets just the right amount of complication what with the smuggling plots getting aided with a scene-stealing performance by a Cockatoo (Jemaine Clement, who thankfully is also allowed to sing). Events head for the collision course you hope they’ll have and while there are dueling love plots and a heist everything thing has its proper priority within the infrastructure of the narrative. There’s more going on here than meets the eye with many of the villains not willing to do their own dirty work, such that you can see how it may be described as a mess but it truly does all work towards one end. And that end is truly one of the more graceful and visual I’ve seen in some time. You realize the film is all but over and there are at least three questions/open ends you’re wondering about that are addressed in a few shots and wordlessly, without any lengthy denouement. It’s a thing of beauty of behold. Moreover, it’s a musical that’s actually musical, meaning there are a few musical numbers where characters breakout and sing but not once does it seem random and forced. The score is tremendous and very present and when it’s not there it’s replaced by source music, which is usually a new take on a Brazilian standard. It’s another example of the synergy of location. The score is indigenous without feeling forced or trite. Even incorporating Samba beats the score and source music still underscores the action tonally. I typically leave the 3D commentary for near the end when I do see something in 3D. I did see it as such and my general feeling is that right now animation, specifically animation by the biggest studios (Disney/Pixar, DreamWorks, Fox/Blue Sky) is usually your best bet for getting the most bang for your buck 3D-wise. The animated feature film has become more of a box office and aesthetic presence than it ever was. It has truly grown in leaps and bounds over the history of cinema as something that was virtually a one-studio specialty to a medium that has become, at long last, a bona fide Oscar category. Having said that the category has been virtually monopolized. It’ll be very hard to justify that this year with Rio entering the fray I think. 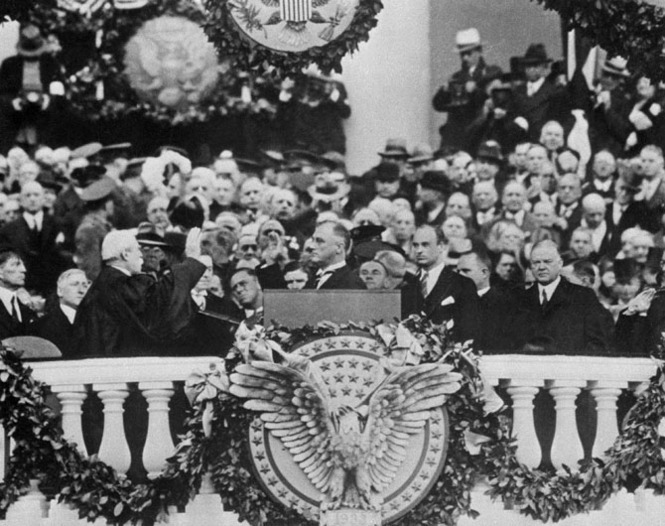 As I may have said before, I now treat sitting through the end credits like a standing ovation. Considering the fact that I was so apprehensive about seeing it in the first place, I truly did not expect to watch this film all the way to its literal conclusion. Rio is a tremendously effervescent film that actually manages to capture some of the spirit of the city in a very honest way.